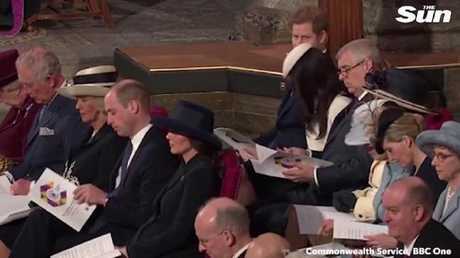 PRINCE Harry made fiancee Meghan Markle giggle when he raised a subtle eyebrow after watching Liam Payne perform at a Commonwealth Day event inside Westminster Abbey. The pair politely watched the former One Direction man perform John Mayer's Waiting On The World To Change but as the final notes rang out Harry let his guard down and appeared to express his true feelings about the performance. Prince Harry and Meghan Markle during the performance. 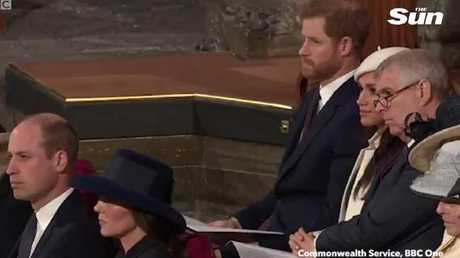 Prince Harry raised a subtle eyebrow to fiancee Meghan Markle after watching Liam Payne perform at a Commonwealth Day event inside Westminster Abbey. 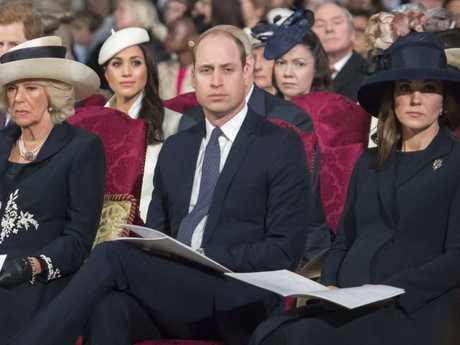 Meghan, sitting next to Harry’s uncle Prince Andrew, looked most amused by her fiance’s reaction to the unconventional performance as the rest of the Royals carefully studied the order of service. As he raised his eyebrows Meghan chuckled beside him, despite subtly nodding her head throughout the performance. A solo Liam arrived dressed smartly for his performance in front of senior royals including Queen Elizabeth, Prince Charles, his wife Camilla, Prince William and Kate Middleton, Prince Harry and Theresa May. 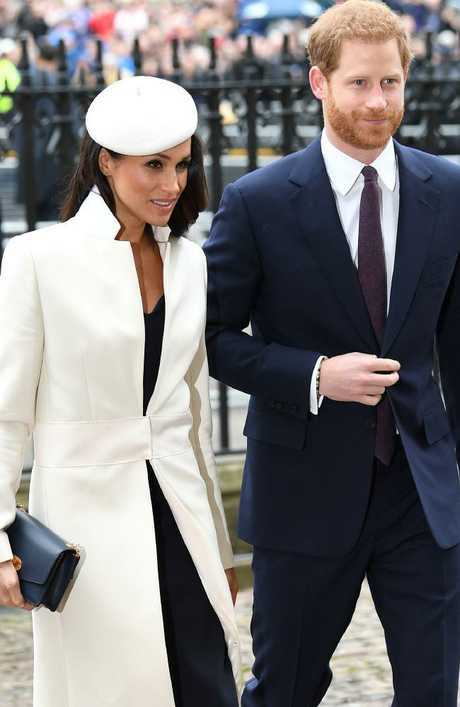 The Westminster Abbey event is a public acknowledgment by the Queen of the actor, who is due to marry Harry on May 19 at St George's Chapel in the grounds of Windsor Castle. The theme for this year's Commonwealth Day service was "Towards a Common Future", emphasising how the Commonwealth can address global challenges and work to create a better future for all citizens through the sub-themes of sustainability, safety, prosperity and fairness. 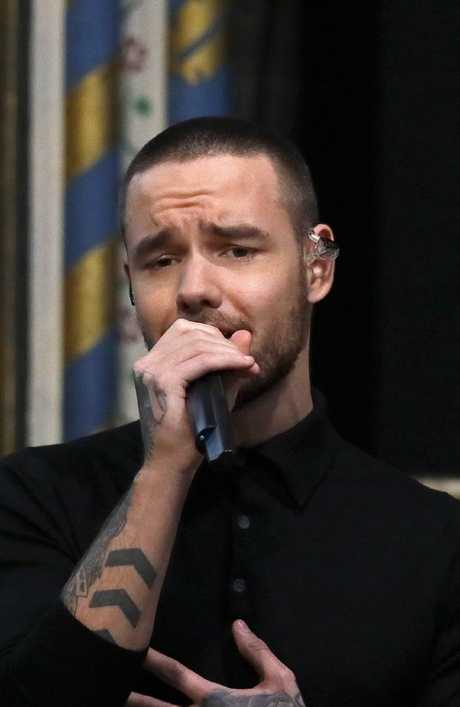 Liam Payne's girlfriend, former X Factor judge Cheryl Cole, was nowhere to be seen as he performed. As previously reported by The Sun's Bizarre column, the pair - who raise son Bear together - have been drifting apart with Liam spending more time focusing on his career. Members of The Royal Family attend the Commonwealth Day Observance Service at Westminster Abbey, London, UK. Picture: James Whatling/MEGA. A source close to the couple revealed: "Up until now everyone has assumed it's Cheryl who has gone cold on the relationship but it's the other way around. "Liam appears more committed to a pop star lifestyle than becoming a real family man. "He was very keen to marry Cheryl early on but she wasn't up for it because of her two failed marriages. "Cheryl is very conscious of the fact she's viewed as someone who has had a string of failed relationships. "When everyone started talking about their problems it was her worst nightmare. "She's become determined to make it work - to prove the doubters wrong. "But friends think that is impossible."